Do you believe that angels direct us at an unconscious level when they feel that someone needs a helping hand? I do! A few days ago it was bitterly cold as usual in my corner of the UK. We'd had a hard frost overnight and a strong wind that must have been blowing straight from the arctic chilled the air even further. I was driving home after a shopping trip to pick up a few groceries. As I drove my mind was firmly fixed on work that I had waiting to be done in my home office, but as I approached the road where I live I was suddenly filled with an overwhelming urge to visit a shop on the other side of town. The shop had recently been renovated and the thought kept creeping into my mind ‘Why don’t you go and check it out. See what it’s like now.’ The thought persisted even though I didn’t need anything in particular from this shop, and I knew that I had a pile of work to do which would keep me occupied until early evening. But the thought would not go away and eventually I gave in and drove to where it is located. I locked my car up and as I set off towards the shop I noticed a little old lady as frail as a bird struggling up the steep hill towards me. She couldn’t have weighed more than 98 pounds and she was fighting a losing battle against that strong icy wind I mentioned earlier. I smiled at her as she approached and she immediately stopped to speak to me saying that she wished she’d stayed in as it was so cold. Her pale blue eyes were watery with the chill of the day. I wasn’t sure how old she was but she looked around 80. I asked her where she was going. She told me her address which was right at the top of the hill and which would take even an able bodied person in good health a good 20 minutes to walk. This little lady was therefore looking at a least an hour's walk due to her frailty and the increasing wind strength. Honestly I’ve never seen anyone so grateful. She got into the car and we set off. As we drove she told me that she had a heart complaint and that she was 86 years of age. I assured her that she didn't look 86 which brought a wide smile of pride to her face. Curious I asked her why she was out on such a cold day and why she was having to walk back home. Her answer was that she really hated to stay in as she lived alone. She said that she enjoyed getting out to the shops for a change of scene and a bit of company. Although she had a big family she only really saw them at weekends as they were busy with work. She added that she’d just missed the hourly bus that ran by her home, and as it was so cold she didn’t want to wait for the next. 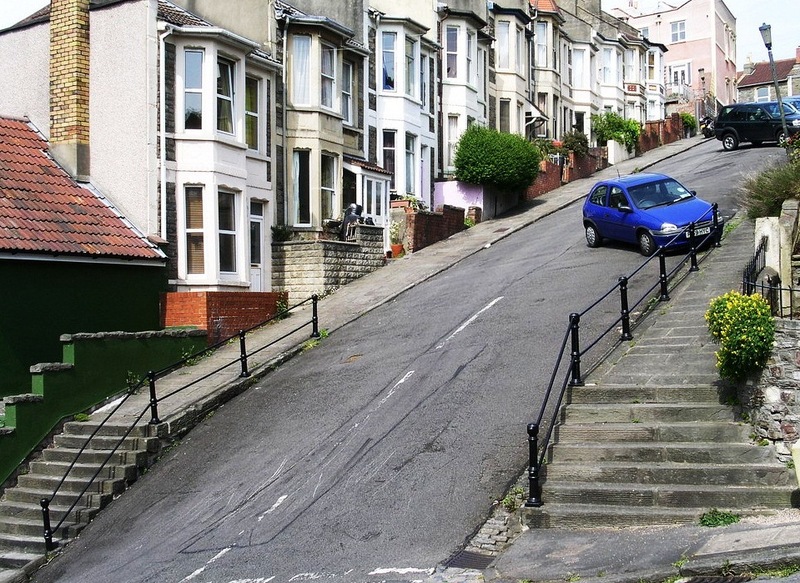 As I dropped her off at the top of that very steep hill I now understood why something or someone had caused me to divert my trip home – it was because this brave lady determined not to give in to her loneliness and health problems was struggling to make that walk home. And she may never have completed it safely given her age and health issues if she hadn't have had that lift. I’ve thought about it a lot over the last few days and I believe that an angel was watching over this frail, but cheerful little old lady that day and recognized her need. Maybe the angel sent out signals to several people in the area at the same time and I was the first to get there. Who knows? But the end result was the same this lady got the help she needed. So listen carefully to any thoughts that you have even if they seem a bit illogical or even if they cause you to have to go out of your way – they may be messages from angels with the intention of helping you, to help someone in need.